Intel is ready to make enterprise dreams come true after confirming that Xeon-based processors are on their way to high-powered notebook PCs for the first time. First reported by ZDNet, Intel will shortly debut the Xeon Processor E3-1500M v5 family based on the new Skylake 14nm architecture and it will bring a stream of enterprise possibilities plus performance enhancements to notebooks. Usually renowned for being purely the preserve of servers, the Xeon chips will add a big dose of power to notebooks, enterprise friendly features like Intel's vPro technology for a security uplift and error-correcting code memory to fix potential data corruption errors automatically. The chips will also have Thunderbolt 3 interface technology as standard. What Intel will need to do to bring firm up these improvements is to make sure the specification of the E3-1500M v5 processors is at a high enough level. 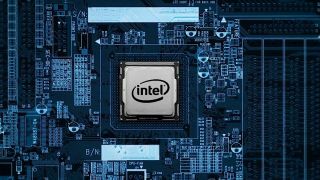 So far it hasn't released any details in that regard, however, we can expect to see the usual uplift in battery life that Intel packs into new Core processors and faster performance including better integrated graphics. Intel is expected to reveal more on its Xeon notebook chips at the upcoming Intel Developer Forum where we will also hear a lot more about its Skylake chip family. Until then keep your eyes on TechRadar for the latest news on this exciting new addition to the Intel family. Will Intel's Skylake processor sink Broadwell before it can swim?